b) 1 passes to 3 then makes overlapping run. 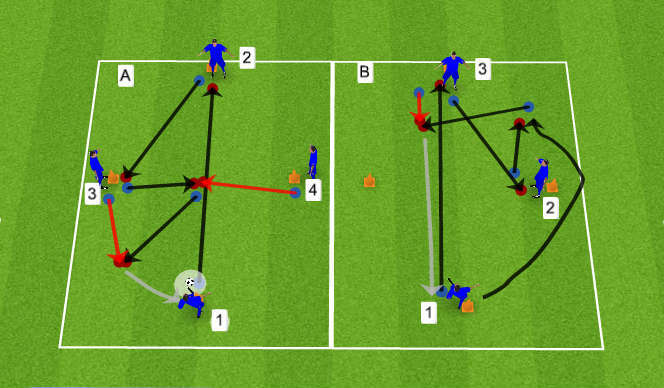 3 passes to 2 who turns and plays into path of overlapping 1. 1 plays inside to moving 3 who dribbles to end. Everyone moves round to the right. Repeat from other end. Passes must be realistic and sharp. Coach the timing of the runs and the direction of the runs from the two strikers and the winger. Delivery of ball must be whipped in with pace. 4 v 2 in a 20 x 20 grid outside of the box. Red team make 5 passes and the player with ball breaks out to form a 4 v 3 situation in the penalty area. A line of cones marks a safe zone so that the defenders can not come out. 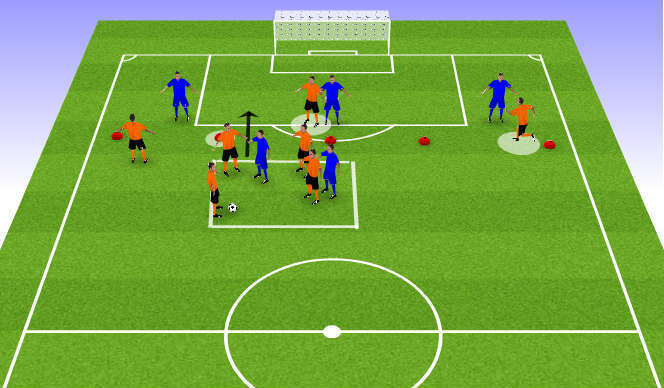 The player with ball chooses an option either the two wingers or the striker. 2 teams set up. One team as a 4-2 formation and one as a 2-3-1 formation. An attacking team and a defensive team. 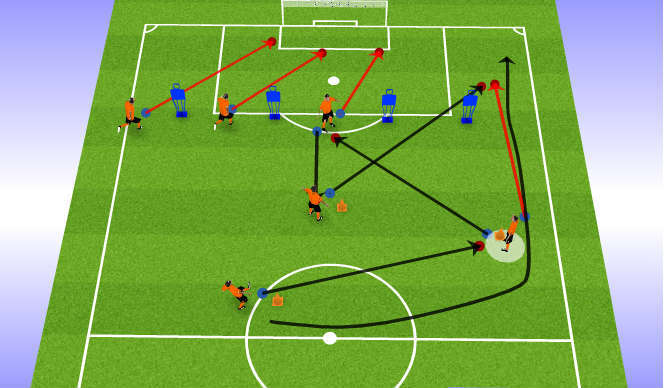 The defensive team have to score by running the ball up the channel and passing it into the two goals.